This conference explored the increasing focus of 'excellence' agendas in Higher Education and asked the question: What is Institutional and Subject Excellence? This conference included keynote speeches from Professor David Sadler and Professor Pauline Kneale. 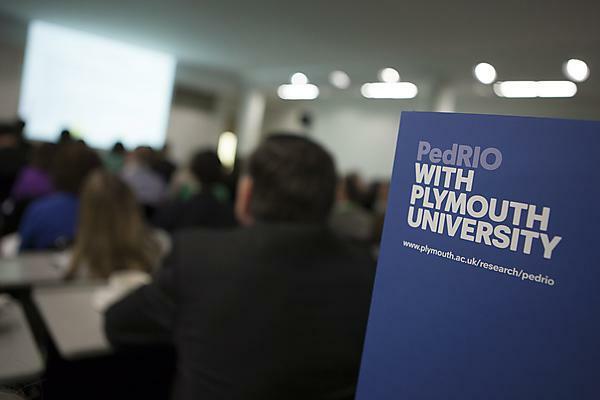 Successful event hosted by PedRIO, University of Plymouth. The conference hosted various workshops and paper presentations. This conference featured keynote speeches from Professor Nicola Whitton and Professor Pamela Kato. The conference also hosted various workshops, paper presentations and hackathons. This event included a 40 minute talk from Professor Tony Harland, from Otago University in New Zealand, followed by an informal discussion/ sharing of ideas about research-teaching links. This year the event took place over two days with day one focusing on digital learning followed by the broad ranging themes of teaching and learning taking place on day two. Showcasing research into adult education from across the UK. Event jointly supported by SCRUTEA and PedRIO. Colleagues brought together from across and beyond the University to share pedagogic research. The themes were: Teaching Excellence, Supporting the Student Experience, Feedback and Feedforward in Assessment, Authentic Learning, Ideas and Opportunities. Sharing best practice on creating and supporting a dynamic curriculum and co-curricular engagement to enhance the student experience and employability. Keynotes: Steve Gerry (Plymouth Manufacturers Group) and Dave Stanbury (University of Essex). This conference explored opportunities and initiatives around enhancement bearing in mind recent changes to legislation. Keynotes: Pauline Kneale (University of Plymouth) and Nick Hillman (Higher Education Policy Institute HEPI). From Curriculum Innovation to Internationalisation, this conference aimed to disseminate best practice and allow for knowledge exchange on important key themes, relevant to teaching and learning provision within the university sector. This year's themes were: Internationalisation, Educational Sustainable Development, Induction and Transition, Assessment, and Curriculum Innovation. Through interactive workshops led by key thinkers in evaluation practice, participants were introduced to evaluation that involves students and creative methodologies. This one day conference brought together an audience of academic and professional services staff and students from across the disciplines to discuss Masters-level Teaching and Learning issues for the 21st century. The themes for the conference were: student support and transition, effective learning, curriculum design and assessment. The speakers were part of an international network of academics exploring and engaging with questions regarding diversity, inclusion and effective pedagogies in Higher Education. The conference presented high quality papers, interactive workshops, and poster displays showcasing the research of leading academics and practitioners in teaching and learning. Keynote speaker: Ray Land from Durham University, on 'Threshold Concepts and Troublesome Knowledge: a Transformative Approach to Learning'. The University celebrated teaching, learning and pedagogy in higher education over two days during which they hosted the Centre for Recording Achievement’s (CRA) fourth international seminar and the fourth PedRIO Annual Conference. This stimulating conference celebrated achievements in sustainability related teaching and learning, pedagogic research, resource development, and innovative learning space design. The conference, held on 8 January 2015, featured internationally-acclaimed keynotes and a wealth of presentations from the UK and further afield. Discussing the role and need for inclusive assessment; a range of inclusive assessment opportunities; the challenges of matching assessments to students with disabilities. Evidencing the value of CPD: Impact, instrumentality and indicators? PedRIO Conference "What is teaching excellence?"